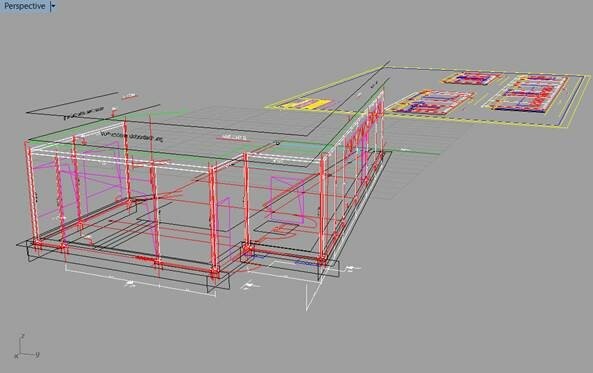 With this project, a car wash plant of nearly 200 sq meters, we are showing the work of engineer Jürgen Keil and his experience with Rhino and VisualARQ. 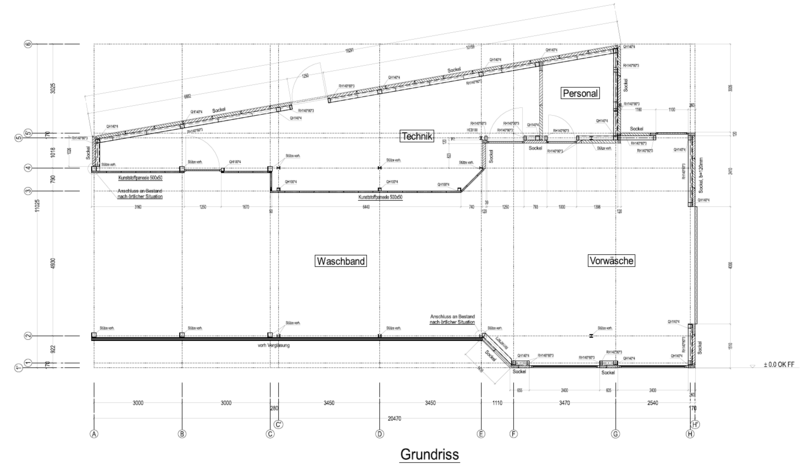 Jürgen got the project drawings (plans, sections and elevations) from the architect in .dwg format. He had to assemble the drawings in 3D in order to use them as a reference to create the 3D model. Secondly, with VisualARQ parametric approach, he was able to develop his own solutions and modify the model in few clics. That was particularly useful for the different beams and columns whose cross section steel profiles needed to be changed constantly, as well as for the wall thicknesses. This easy and fast way to modify the geometry sped up the project development dramatically and helped in making decisions faster. 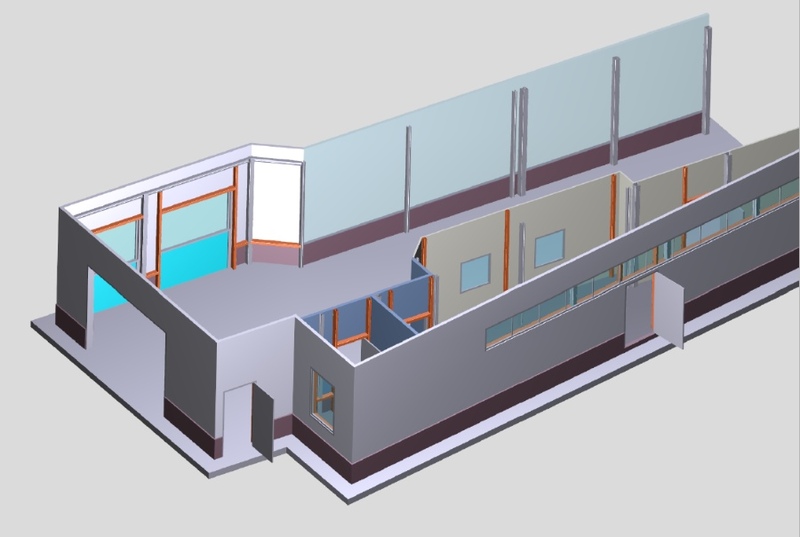 Finally, with the help of VisualARQ, he exported the model to IFC and imported it to Revit and BOCAD to finish the final shop drawings. Once the model was exported, VisualARQ objects were used as a first draft for the final shop drawings and construction details. VisualARQ walls were used as references to create individual wall parts in BOCAD, and VisualARQ doors and windows were revised and replaced by more detailed ones.